Either 3,000 or 5,000 copies of this edition (the second) were printed. It was published by Parley P. Pratt and John Goodson in Kirtland, Ohio. The typesetting and printing were done during the winter of 1836-37, with Joseph Smith and Oliver Cowdery taking an active part in the editing process. For this edition, hundreds of grammatical changes and a few emendations were made in the text to correct printers and transcription errors. The 1830 edition and the printer’s manuscript were used as the basis for this edition. 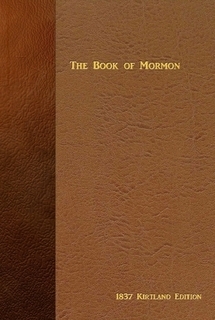 As the translator of the text, and Prophet, Joseph Smith also made a number of editorial changes to correct or clarify.